Located in Germany, TUI Cruises has been marketing their brand to German-speaking passengers since 2009. In June 2016, their fifth cruise ship was delivered and they have orders for a new ship to be delivered every year until 2019. TUI Cruises was founded in 2008 as a joint venture between parent company, TUI AG, and Royal Caribbean Cruises Ltd. 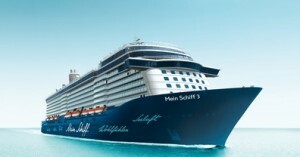 The Mein Schiff fleet has been rapidly growing. They acquired and rebuilt their first two ships from Celebrity Cruises and named them Mein Schiff 1 (2009) and Mein Schiff 2 (2011). In 2014, Mein Schiff 3 was delivered and Mein Schiff 4 was delivered in 2015. In May 2015, TUI announced that they would be transferring Mein Schiff 1 and Mein Schiff 2 to sister line, Thomson Cruises over the next few years. In June 2016, Mein Schiff 5 was delivered 10 days ahead of schedule. TUI Cruises will debut Mein Schiff 6 in 2017, Mein Schiff 7 in 2018, and Mein Schiff 8 in 2019. To apply for a job in the Hotel, Restaurant or Entertainment departments onboard TUI Cruises, apply through Sea Chefs. To apply for jobs in the Deck and Engine Department, apply through the Celebrity Cruises website. Contact Name (Deck and Engine Jobs): Georgina Pintado, Marine Recruiter – Global Talent Acquisition Team.